Frequently asked questions about Badge List's pricing. How much do paid groups cost? What happens to my badges if I cancel my paid subscription? If you ever decide to cancel your paid subscription your paid group will go into an inactive mode. You will no longer be able to create new badges or award existing badges to new users. 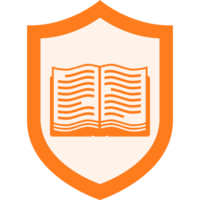 Badge learners will no longer be able to submit new evidence. But all existing badges and evidence will remain online forever. You will be able to revive your group at any time by selecting a new plan. You can switch between Badge List plans at any time by editing your group. You will be charged for the new group cost minus any prorated amount left on your previous plan. Can I switch between an free and paid group? You are required to enter in a credit card in order to create a paid group (or in order to change a free group to a paid group). Your subscription begins the moment you select your subscription plan and save the group. The credit card charge should run immediately. After that your credit card will be charged monthly (or yearly, depending on your plan) on the same day as the initial charge. Rest assured that your credit card is secure. 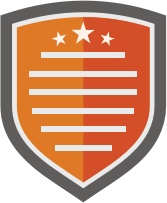 Badge List encrypts all traffic between you and our servers with HTTPS. But all payment information, including your credit card number, is actually stored by our payment provider Stripe (https://stripe.com/help/security). Your credit card details are never stored on Badge List's servers. Still have questions? Email us at solutions@badgelist.com or check out the general #FAQ.